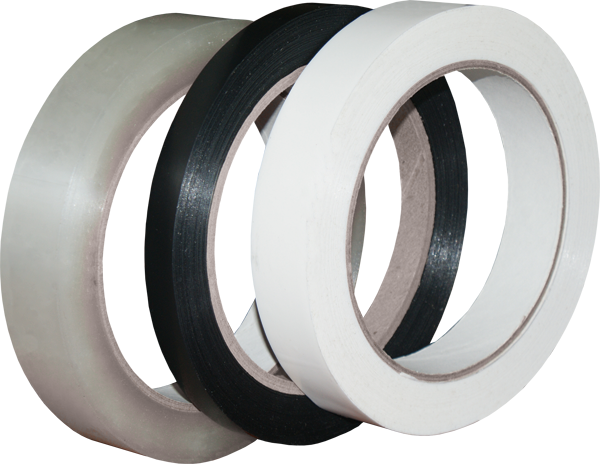 Tensilized Polypropylene tapes have extra tensile strength in the machine direction and carry low tack adhesives. These features make these tapes best for light weight, temporary bundling applications such as pallet wrapping. Moderate strength for securing pallet contents. Low tack adhesive ensure minimal damage to boxes.